This pic seems like something out of a mild nightmare, not an international travel hub. You should have seen it 5 minutes before this picture, when there was one busload more of people in the room at the bottom. 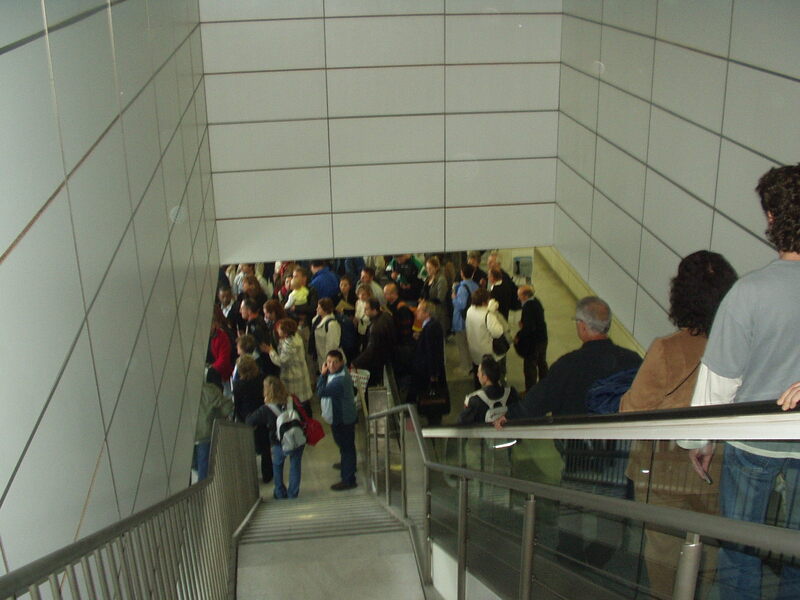 People would wander onto the escalator going down, but at the bottom there was nowhere for them to stand, so they had to either shove people out of the way or backpedal while standing on the escalator. I tried to walk instead of getting in this mob, but the 3-4 people I asked all incorrectly told me that this is the only way. It looks like I will be going through this airport a lot in the future, just because it is cheap to travel via it, but I hope to figure out ways to avoid these internal bus stops in the future!